A great conditioner!! Surprisingly lightweight which is amazing because my hair gets greasy and flat so fast.. Not the most sleek-and-shiny hair making conditioner but a treat nevertheless. Hair is soft and silky, and detangled after using this conditioner! Love this product. It's so light yet it makes such a difference to my hair, which is very fine so finding a conditioner which actually conditions and gives my hair much needed body is wonderful! I have curly hair with the occasional top up colouring so it needs some care as it can go slightly dry at the ends. What a difference this conditioner alongside with the shampoo makes to the texture and fullness of my hair without loosing any curl. It just seems to bring out the best in my hiar. On the first day it makes my hair extremely manageable and i can go for days without washing my hair without loosing any volume. I love it and i will continue to buy the two products together especially at your offers. Great value for rmoney! 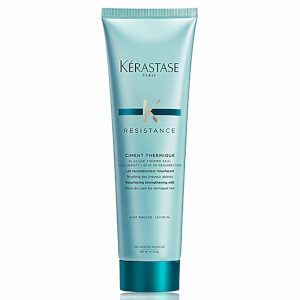 I have been using this particular Keratase Shampoo for 3-4 months now and my hair was quite broken/ damaged, I have just started to use the conditioner with it, which I purchased over a month ago now. I have noticed a change in my hair with using the shampoo/conditioner in the texture of my hair, shine and especially the strength. I have used many different shampoo brands from expensive to lower priced brands, and I can honestly say this is by far one of the best. 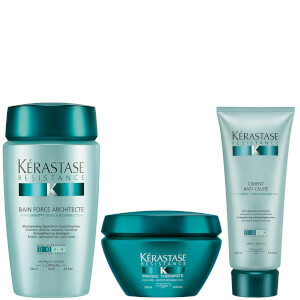 I think after I am finished with this particular shampoo and conditioner I may try a different type of shampoo from the same brand, only because I feel that the shampoo and conditioner has done its work now and very eager to try the volume or colour shampoo/conditioner by Kerastase. whilst I have a lot of hair it is very fine. It seems to be getting very fine indeed around the temples and hairline. I find this product really helps to build up the hair. I focus it in those areas. Better than a lot of products aimed at hair thickening, but which plump up the hair follicles so that colour leaks out. This,product is different and builds up the hair itself, which gives a much better result forme!